Scary dental arrangements often free-associate with sharks and vampires. 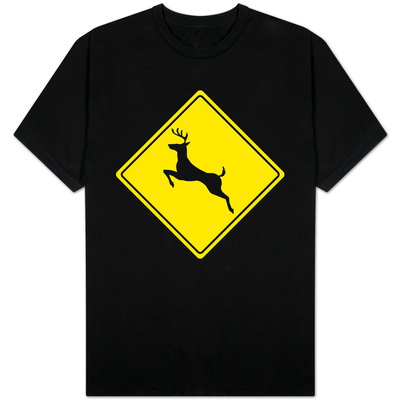 They usually inspire no thought of deer. But the Afghan fanged deer is back after 60 years without a trace. Agro-industrially expanded urban interfaces and globally warmed climate change challenge the environmental interactions and population sustainability of all of Planet Earth's air, land, and water inhabitants. • They explain worldwide increases in recordings of, and suspicions regarding, endangered and extinct wildlife in the twentieth and twenty-first centuries. • Wildlife-loving amateurs and professionals in fact must follow certain guidelines and set protocols before concluding that a species -- whether endemic to an exclusive bio-geography or specific to multiple distributional ranges -- no longer exists anywhere in the whole wide, wild world. John Edward Gray: describer of the Moschidae family in 1821.
moschiferus (Linnaeus, 1758), Siberian musk deer of Korea, Manchuria, Mongolia, Siberia. The only photo on record of a wild specimen of M. cupreus from Afghanistan is that of the bloody carcass of an adult female hunted in July 2009. Usage restrictions: None, via EurekAlert! Taxonomist of African and Asian mammals. The Stamford Raffles Award, 2006. Identification of musk deer sighted in eastern Afghanistan's Parun Valley on May 13, 1948 by Knut Paludan of Third Danish Expedition to Central Asia was confirmed as Moschus cupreus on May 21 by showing this drawing to Malik (chief) of village of Kustaki. Nuristan Province, per historical and recent observations. Remnant oak (Quercus spp) and pine (Pinus spp) forests. conifer-juniper stands in eastern Afghanistan: sightings of Moschus cupreus in 2008 occurred in steep terrains flush with Juniperus squamata and at upper edge of coniferous forest. Present musk-releasing glands and tusk-like teeth. Weighing 15.43 – 37.48 pounds (7 – 17 kilograms). landscape of eastern Nuristan Province: Nuristan's remoteness, with thick forests and steep mountain slopes, provides ideal habitats for reclusive Moschus cupreus. The only twenty-first-century viewing occurring six decades later. Sights of Moschus cupreus Afghanistan's northeastern Nuristan Province in 2008 occurred in landscapes lush with rhododendrons. Using tusk-like canines to fake-joust with competitors during mating seasons. $20,000 – 45,000 per pound (2.2 kilograms) of musk. Nuristan: Remote province on southern slopes of Hindu Kush Mountains in northeastern Afghanistan is location of 21st century sightings of Moschus cupreus. young Pashai girl: Pashai are ethnolinguistic group in eastern Afghanistan, especially in Kunar, Laghman, and Nangarhar provinces, but also in Nuristan. “Afghan Fanged Deer Seen After 60 Years of Disappearance from the Wildlife.” Food World News.com: News. New York, NY. Retrieved November 3, 2014. “Afghan Fanged Deer Spotted After 60-Year Absence: First Kashmir Musk Deer Seen Since 1948.” The Inquisitr News: Animal News > 1 November 2014. Retrieved November 3, 2014. Algar, Jim. 31 October 2014. "First Afghan Fanged Deer Spotted After 60 Years." Tech Times.com. New York, NY: Tech Times LLC. Retrieved November 3, 2014. Bald, Linsey. 1 November 2014. "Afghan Fanged Deer Spotted After Six Decades: 'Vampire' Deer in Halloween Debut." Examiner.com: News / Top News. AXS Digital Group LLC. Retrieved November 3, 2014. Balthasar, Felix. 1 November 2014. “Kashmir Musk Deer Spotted in Afghanistan, First Sighting in 60 Years.” Maine News: Science. Retrieved November 3, 2014. Bravo, Kristina. “Fanged Deer Pops Up Six Decades After Last Sighting.” Yahoo! News. Retrieved November 3, 2014. DDN Correspondent. 1 November 2014. "Fanged Afghan Deer Sighted After 60 Years." Delhi Daily News.com: Sci & Tech. Retrieved November 3, 2014. Farrell, Richard. 31 October 2014. "First Afghan Fanged Deer Seen in More Than 60 Years." Discovery.com: Animals > Endangered Species. Discovery Communications, LLC. Retrieved November 3, 2014. Feltman, Rachel. 31 October 2014. “Fanged Deer Pops up in Afghanistan, 60 Years After Its Last Appearance.” The Washington Post: Speaking of Science. Retrieved November 3, 2014. Fernandez, Kristina. 1 November 2014. “Fanged Afghan Deer Believed Extinct Sighted After 60 Years.” China Topix.com: Science. Retrieved November 3, 2014. Flerov, Konstantin Konstantinovich. 1952. Musk Deer and Deer. Moscow, Russia: Academy of Sciences of the USSR. Graham, Karen. “Thought to be Extinct, the Fanged Deer of Afghanistan Lives on.” Digital Journal.com: Science. Retrieved November 3, 2014. Groves, C. P.; Yingxiang, W.; and Grubb, P. 1995. "Taxonomy of Musk-Deer, Genus Moschus (Moschidae, Mammalia)." Acta Theriologica Sinica 15(3):181-197. Grubb, P. 2005. "Artiodactyla." Pp. 637-722 in Mammal Species of the World. A Taxonomic and Geographic Reference (3rd Edition) Edited by D.E. Wilson and D.M. Reeder. Baltimore, MD: Johns Hopkins University Press. Hassinger, Jerry D. 6 April 1973. 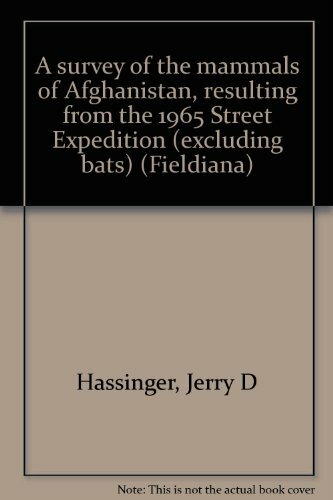 "A Survey of the Mammals of Afghanistan, Resulting from the 1965 Street Expedition (Excluding Bats)." Fieldiana Zoology 60:1162. Chicago IL: Field Museum of Natural History Press. Hays, Brooks. 31 October 2014. “Fanged Deer Spotted in Afghanistan, First Sighting in 60 Years.” UPI.com: Science News. Washington, D.C.: United Press International, Inc. Retrieved November 3, 2014. “Kashmir Muskdeer (Moschus cupreus).” ARKive.org: Species > Mammals. Retrieved November 3, 2014. Kelly, Steve. 1 November 2014. “Rare Deer with FANGS Feared Extinct Is Spotted for First Time in Over 60 Years.” Mirror.Co.UK: News > Weird News > Rare Animals. London, England: The Daily Mirror, MGN Ltd., Trinity Mirror plc. Retrieved November 3, 2014. Maher, Julie Larsen. “Musk Deer.” EurekAlert!.com: Multimedia > Public Releases. Washington, D.C.: American Association for the Advancement of Science. Retrieved November 3, 2014. Ostrowski, Stephane; Rahmani, Haqiq; Ali, Jan Mohammad; Ali, Rita; and Zahler, Peter. 22 October 2014. “Musk deer Moschus cupreus Persist in the Eastern Forests of Afghanistan.” Oryx / FirstView Article 1-6. Available on CJO2014. doi:10.1017/S0030605314000611. Pickrell, John. 7 September 2004. “Poachers Target Musk Deer for Perfumes, Medicines.” National Geographic.com: News. Retrieved November 3, 2014. Rue, Dr. Leonard Lee III. 2003. 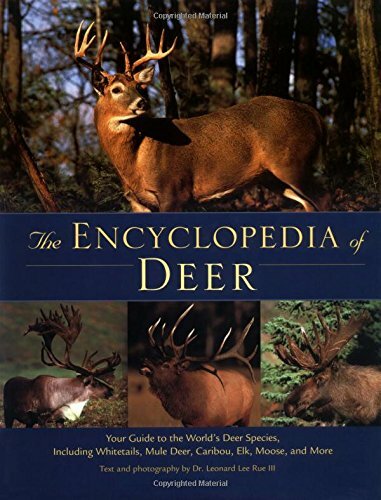 The Encyclopedia of Deer: Your Guide to the World's Deer Species, Including Whitetails, Mule Deer, Caribou, Elk, Moose, and More. Stillwater MN: Voyageur Press. Sterndale, Robert A. (Armitage). 1884. Natural History of the Mammalia of India and Ceylon. Calcutta, India: Thacker, Spink, and Co.; Bombay, India: Thacker and Co., Limited; London, England: W. Thacker and Co.
Timmins, R.J.; and Duckworth, J.W. 2008. "Moschus cupreus." The IUCN Red List of Threatened Species. Version 2014.2. International Union for Conservation of Nature and Natural Resources. Retrieved November 3, 2014. Zurko, Roz. 1 November 2014. "Afghan Fanged Deer Not Seen in 60 Years Rediscovered: Fangs for Mating Ritual." Examiner.com: News / Top News. AXS Digital Group LLC. Retrieved November 3, 2014. Based on their 2008 data-drive geographical model, Wildlife Conservation Society-University of Leeds' School of Geography survey team predicted 14.4% suitable habitats for musk deer in Laghman, province sharing Nuristan's southern border. This comprehensive new reference work provides a unique source of information about all 45 of the worlds deer species. Found only in three east Texas counties, large-fruited sand verbena (Abronia macrocarpa) was considered endangered in 1988 but has staged a comeback.